It began as an idea in the imaginations of a young Arkansas couple in the 1980s. 'What if there was publication that helped RVers find job openings and volunteer positions especially suited to their lifestyle?' Greg Robus, a Park Ranger with the U.S. Army Corps of Engineers asked his wife, Debbie, a kindergarten teacher who moonlighted as a needlework designer and newsletter publisher. As part of his duties, Greg was responsible for recruiting seasonal attendants to live and work at the entrance of Corps of Engineers' campgrounds along the Arkansas River. During his 13 years as a Ranger, he had worked with hundreds of mostly retired or semi-retired singles and couples who worked as 'gate attendants,' and he was impressed with their work ethic and adventuresome spirit. If other agencies and private employers knew about this potential labor pool, he was convinced there would be a tremendous demand. In the summer of 1986, Greg filled four 'gatekeeper' vacancies from nearly 100 applicants. At that time, potential applicants had to individually contact each of the more than 400 Corps field offices nationwide for job availability information. Some parks received too many applicants and some not enough. One of the most common questions Greg received from the gate attendants he worked with was, 'How can we find out about these jobs at other Corps parks and other agencies around the country?' Greg had suggested that the Corps establish a national clearinghouse for such information, but when that didn't happen he began to wonder if there was some way that he and Debbie could fill the gap. Would there be enough RVers and employers to support a subscription periodical specifically designed to put the two together? The couple began exploring the possibility of combining Greg's experience with Debbie's expertise in publishing a newsletter, typesetting, graphic design, handling mass mailings, writing and more, to create a newsletter for this niche market. They liked their jobs but they had inherited an entrepreneurial spirit from their parents and were open to new opportunities. The couple's research quickly revealed that there were many opportunities awaiting RVers. Working for the Corps of Engineers was the tip of the iceberg! But what would you call these folks? There had to be a word that would aptly describe this lifestyle. Many hours of talk and research and tossing names around resulted in the word Workamper, now a registered trademark. While campground jobs would be the initial focus, the term would apply to anyone who combines any kind of work with the camping lifestyle. The publication would be known as Workamper News. Debbie resigned her teaching position at the end of the 1986 school year in order to devote her time and energy to learning to utilize a personal computer to do what was then called 'desktop publishing.' Greg spent his off hours researching their concept and crunching the numbers. By the spring of 1987, they were ready to take the plunge. Greg resigned from the Corps of Engineers, and the couple sold their home in Russellville, Arkansas - downsizing to a smaller residence in their hometown of Heber Springs, Arkansas, where they purchased an 1100-square foot home and set up shop in one of three small bedrooms. They spent the summer of 1987 writing, editing, designing, and fine-tuning the first issue of Workamper News, which went to press in August and resulted in 8 pages of off-set printing... brown ink on cream colored paper. Some 200 copies were printed, and about 50 copies were mailed to folks who had signed on for an introductory yearly subscription price of $15. The rest of the issues were distributed to a variety of commercial campgrounds, government agencies, and organizations affiliated with the outdoor recreation industry. Early growth was primarily due to word-of-mouth. As the subscriber base grew, the Robuses purchased classified ads in Trailer Life, Motorhome, and Highways magazines, and they mailed press releases to trade publications and periodicals, touting the Workamper lifestyle. 'Phone calls for information and subscriptions doubled each time a press release or article ran,' Greg says. They also offered a nominal payment to field representatives - people already traveling who were willing to pass out brochures at campgrounds. The field reps marked the brochures so that, when subscriptions were mailed or phoned in, Greg could credit them with payment. Five years later, the newsletter had grown from 8 to 24 pages and boasted over 6,000 subscribers. After a year in their home on 15th Street in Heber Springs, Greg and Debbie traded houses with Debbie's widowed grandmother, moving about four miles outside of the city to a 40-acre farm. 'We had the luxury of being able to live anywhere we had access to a phone and a post office,' Greg laughs... 'and as home-based business owners, we could work all day in pajamas if we wanted.' The couple handled all of the daily operation of the business themselves, as well as all of the composition, typesetting, layout and design of each issue. Local printers were responsible for the printing in the early years, and as the number of ads for job vacancies increased, the size of the magazine necessitated a switch to a web press process (similar to newsprint) to keep weight down and postage costs reasonable. Since the early 1990's a printing company in North Little Rock, Arkansas, approximately 60 miles from Heber Springs, has been responsible for printing each issue. As the Workamper News subscriber base grew, and more jobs meant more pages, the 'newsletter' became a full-fledged 'magazine.' With the addition of Workamper Bookstore, the Workamper Referral System (an early resumé clearinghouse and forerunner of Awesome Applicants), the Workamper Hotline, and growth of the magazine itself, the couple found themselves adding office space to their home to accommodate all of the operations required to maintain the business and get the magazine out the door every two months. During 'production week,' stacks of newsletters/magazines would line the kitchen counter and any other available surface as they traversed through the various stages leading to mailing day. Getting the newsletter/magazine ready for mailing was a family affair in the early years, with numerous family members joining Greg and Debbie around the kitchen table to apply mailing labels and in the early days... postage stamps to each copy. The stamps were eventually replaced by a pre-printed mailing permit, but for many years afterward each issue was still hand-labeled. Once the Robuses switched to a web-press printing process, they inserted each issue into a paper envelope to ensure that it made it safely through the mail to the subscriber. Family members, and later part-time employees, spent several days every two months labeling the envelopes, stuffing them with magazines, and then hand-sealing each envelope and placing it in US Postal Service mail tubs for delivery to the Post Office. A room was added to the Robuses' home primarily for the purpose of housing the production of the magazine and the issues that were processed and awaiting mailing. After remodeling three times, the Robuses concluded that the business was overtaking their home, and something had to give! By this time, they had purchased the entire 40-acre farm from Debbie's family, and a decision was made to build a new residence on the property and convert the existing home solely to office space. The new home was completed in 1997, and the Robuses began their 150-yard 'commute' to work... a short walk, or in bad weather and/or a hurry, a quick golf cart ride. In the late 1990's, the Robuses added a heavy paper cover to their magazine and eliminated the mailing envelope. This allowed the printing company to apply the mailing labels for them and handle the mailing process. With the July/August 2000 issue, the magazine acquired a full-color cover and its present magazine-style appearance. Today, the issues generally contain 64 to 72 pages of information about job vacancies from coast to coast, as well as features on great Workamping destinations, happy Workampers, and general information pertaining to Workamping and RVing. Recognized by major RVing publications and organizations as an indispensable source of information for working RVers, Workamper News has expanded its services over the past years. Since their first issue in 1987, the Robuses built upon their initial goal to become a matchmaker between workers and employers. From suggestions and feedback from RVers and employers on ways to keep both sides in touch, they first formed the Workamper Referral System (WRS) to further aid their readers and recruiters. Originally launched to help employers quickly fill unexpected job openings, the Workamper Referral System was also used by business owners and agency recruiters, who wished to hire anonymously, and by other employers, who sought Workampers with specific skills and experience. Each time an employer requested resumés, Greg searched all the resumés currently on file for the candidates that best matched the employer's criteria. Today, the Workamper Referral System has been replaced by Awesome Applicants, an online resumé clearinghouse. Awesome Applicants matches employees with employers in an easier and faster mode. In 1993, Workamper News added the Workamper Hotline to their list of services. The weekly update of immediate job vacancies was available only to subscribers as a recorded voice mail message, accessed via a revolving phone number published in each issue of Workamper News. Debbie recorded the new job listings every Tuesday. At the beginning of the new century, Workamper News updated their Hotline with an additional service that became available to subscribers by way of e-mail. A subscription to this service, now called WorkamperPlus, includes the bi-monthly magazine, plus the daily Hotline via e-mail and optional participation in Awesome Applicants. With WorkamperPlus, the Hotline is e-mailed directly to the reader each day. Additional services and features to Workamper News include the Workamper Viewpoint forum, edited by Jaimie Hall-Bruzenak, Workamper Canada, Workamper Bookstore, and Featured Employers pages on the web site. Debbie's mother, Arline Chandler writes 'Workamper Journals,' a feature since the inception of the publication. The sheer workload of managing the daily operations - subscription fulfillment, answering two phone lines, handling resumé requests, talking to employers and working with them to develop ads - coupled with the bi-monthly production of the magazine and the physical preparation of each issue for mailing, plus the development of a website, simply became more than Greg and Debbie wanted to manage by themselves. 'We've got to have help!' the couple agreed. In September 2000, they placed an ad seeking an 'office assistant.' Nearly 100 applicants answered the ad, including one applicant whose name they recognized as their friend and Corps of Engineers Park Ranger and Outdoor Recreation Planner, Bill Allbright. Bill was nearing an early retirement at the Corps and looking for a new challenge. After talking with Bill a few times and trying to convince him that he was over qualified for this position, Bill convinced Greg and Debbie otherwise and insisted he really wanted to be a part of the Workamper team! And they are so glad he did! Bill became somewhat of the 'voice of Workamper News' and was often the first voice callers would hear when they phoned the office. He started as office assistant, but he quickly became so much more, and he became Circulation Manager, which meant he is in charge of all matters related to fulfilling subscription orders, address changes, returned mail, and so much more. He was also the 'Workamper Poet Laureate' and can create a masterpiece on a moment's notice! Bill retired in 2013. A few months later in 2001, Greg's brother, John Robus, retired from a 29-year career as financial manager for a manufacturing company and joined the Workamper News staff as financial manager. In addition to sharing customer service duties with Bill, Debbie, and Greg, John was in charge of all financial aspects of the company and also oversaw information technology projects. An avid fly fisherman, John liked the fact that the Workamper News office was near the Little Red River. He and his wife, Elaine, continued to reside in Little Rock. In 2003, the Workamper News office moved back in to Heber Springs at 709 West Searcy Street, housed in a 90+year-old house only two blocks from where Debbie grew up. In an effort to downsize personally and free up time to travel in a newly-acquired motorhome, Greg and Debbie also relocated their residence from their country home to Greg's boyhood neighborhood in Heber Springs. Since the early 1990's, one of Workamper News' largest single employers of Workampers had been Adventureland Park in Altoona, Iowa. Human Resources Director, Steve Anderson, quickly became one of the most avid supporters of Workampers. Steve hired approximately 400 Workampers per summer, and many of his employees returned year after year. He was obviously doing something right, and he began to visit with the Robuses about what he needed from Workampers, what worked (and what didn't) with the Workamper recruiting system, and what could be done to improve various aspects of the process. His input was instrumental in the development of the Awesome Applicants resumé system, and Steve became a consultant for this division of Workamper News. He developed a satellite business, S-O-S Consulting, to assist Workamper applicants with getting their information online and marketing themselves to potential employers. Steve assisted Greg and Debbie at several seminars, presenting the 'employer side' of Workamping to other employers during cracker barrel sessions at KOA conventions, seminars for the National Association of RV Parks and Campgrounds (ARVC) and the International Association of Amusement Parks and Attractions (IAAPA). Steve also represented Adventureland at numerous job fairs across the country, recruiting potential Workampers from coast to coast. 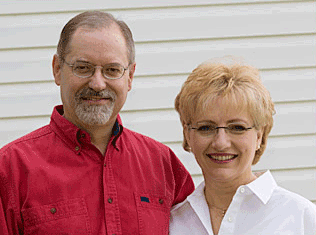 In 2005, Steve and Kathy Jo Anderson approached Greg and Debbie about the possibility of purchasing Workamper News. The Andersons had both worked in management for Adventureland Park for approximately 30 years. They were seeking a change, and they had grown to love Workampers and the Workamping concept, and they had become an integral component of the success of Workamper News through their promotion at seminars and their assistance with Awesome Applicants. Many late-night discussions and days and weeks of research, business plans, consultations with accountants and attorneys led to the sale of Workamper News to the Andersons on November 1, 2005. Greg and Debbie laughingly remarked that their 'baby had gone to college!' They shared office space and desks with the Andersons for the next six months as the Andersons got fully acquainted with all aspects of the operation of daily business and production of the magazines. The Andersons' daughter, Jody, joined the company in May 2006, upon completion of her graphic design degree from Grand View University in Iowa. Her main role in the beginning was creating the bi-monthly magazine and developing any other graphics and media. As time went on, Jody began developing relationships with advertising Employers and took on futher customer service roles. Officially becoming the Editor in 2010, she now has a hand in all operations of Workamper News. In 2010, Jody married Luke Duquette and he moved to Arkansas from Iowa. He had been working for John Deere Greenstar Support which handled tech support calls for GPS navigation for farming equipment, and he was able to keep that job and work from home in Arkansas. But, after months of hearing Jody and her folks discussing this Workamping thing they had going on, he decided his services were needed. Luke joined the team in May of 2010 and has been an integral part of the company since. Currently, he manages the website and all of the technology needed to keep up the office and website. His degree in Information Technology fit right in with this new opportunity for him and it's been a great fit for both he and Workamper News. The Workamper Rendezvous got its start in 2011. Rendezvous is an education-filled, three day event that takes place in Heber Springs, Arkansas in October, annually. RV industry and Workamping experts are called in from around the country to share their expertise via seminars and smaller sessions. Networking sessions and meals provide further connection and learning for those who attend. It's a great event for Dreamers to build their confidence and knowledge base, and for experienced Workampers to amp up their lifestyle. It's the WKN staffs' favorite time of year! Despite being involved in the lifestyle for so many years, Workamper News acquired its first RV in early 2012 (a Class A gas motorhome). The Andersons and Duquettes went on a few different RV trips that year to visit some employers and meet up with Workampers - including a great adventure to Yellowstone National Park that resulted in the largest feature ever for the magazine! This really gave the family the RV-bug, and it wasn't long until Steve & Kathy Jo traded in the Class A gas for a larger Class A diesel, sold their sticks 'n bricks in one day, and became full-time RVers. Luke & Jody, not to be left behind, went the fifth wheel route and adopted a fifth wheel in the fall of 2013. They finally sold their house and became fulltimers in 2015. Workamper News, being more mobile, produced two educational Workamper events in Florida and California in 2013/14. They were also able to have a booth for the first time at the Tampa RV Show in 2014, and the Quartzsite RV Show and Hershey Show in 2015. Steve & Kathy Jo continue to travel throughout the year to help produce sessions of the RV Training Triad. In 2015, Luke and Jody worked with a web design company called Pleth out of Batesville, Arkansas to completely rebuild the front and backend systems that Workamper News uses. They worked together to create a new design for the website and to build an updated customer management system to keep track of the memberships, magazine subscriptions and advertising. It was a huge undertaking and was an extreme amount of work, but the end result has been fantastic! You are now looking at the new Workamper.com! Changes came about in 2017. After having lived in and at Workamper News for multiple years, Luke & Jody "retired" to embark on some RV adventures. Their leading roles and duties have been turned over to Sharee Collier and additional staff members added to the team since. Sharee and her family are fulltime RVers and had been Workamping for many years. You may have seen Sharee's articles in Workamper News magazine, which started her relationship with Workamper News. With some skills and excitement, she has taken on the Director of Operations role. Things are always changing. Keep an eye out for new and exciting things to come in the future! July 2015 the new Workamper.com design is launched!